Last year’s Shelter commission on the future of social housing received more than 31,000 responses – and the results threw up some whopping issues for social landlords. For many social tenants it was a chance to express their powerlessness; just 19% of social renters said that they feel able to influence the decisions made by their landlord about their home. Just under a third (31%) said that they didn’t think that their landlord thought about their interests when making decisions. Of course, to those same tenants, none of this was particularly shocking. And while the report had its own detailed recommendations to make, it also left an implicit challenge for social tenants and, particularly, their landlords. Put simply, if the status quo isn’t good enough, what are you going to do about it? 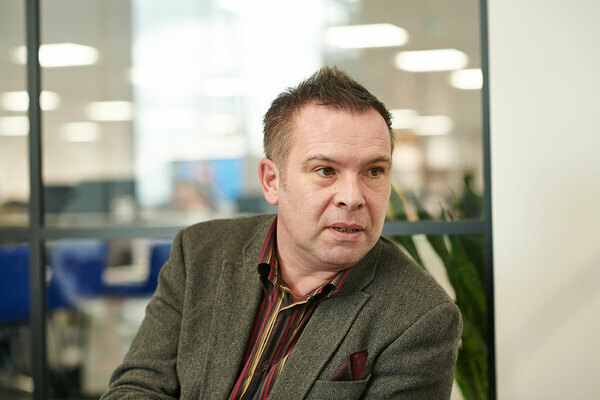 One of the more thoughtful pieces published shortly after Shelter’s report came out was from Paul Taylor, innovation coach at 44,000-home housing association Bromford. Titled ‘If we want different relationships, the doing must be new and different too’, Mr Taylor’s article suggested that the sector needs to “build a new set of behaviours based on trust and collaboration”. A few days later he wrote another piece in which he argued that “difficult conversations, the ones which we all too often shy away from, are the very things that help build trust in one another”. Lizzie Spring also believes things need to change. Over the course of her life, Ms Spring, who is a tenant in west London, has worked in mental health support, family support and social care, and had a number of roles in housing, including at Eaves Housing for Women, and had a place on the National Tenant Voice, the extremely short-lived organisation set up in the dying days of the last Labour government to enable tenants to have a say in shaping housing policy. She is critical of the “beneficiary to kindly benefactor relationship” that she thinks social landlords are “desperately trying to impose” on tenants and wants to rebalance it as a relationship of equals where there is “proper grassroots power”. 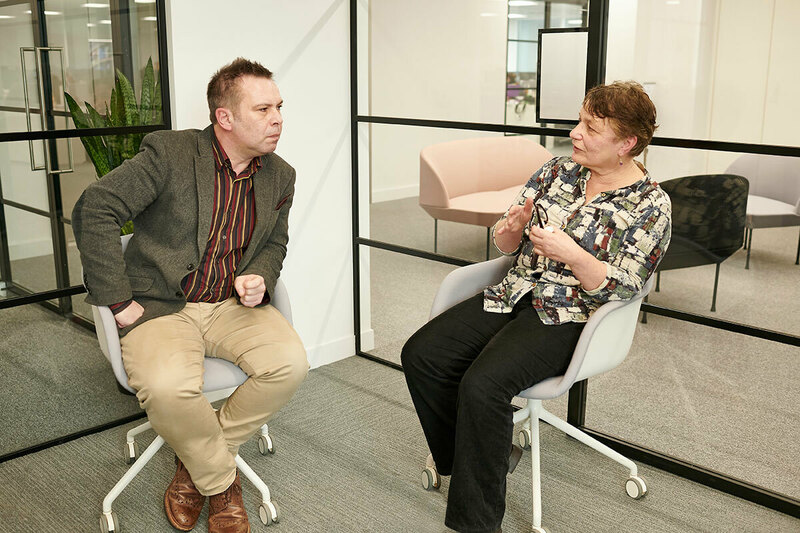 Mr Taylor has come to Inside Housing’s offices to meet Ms Spring and have one of those “difficult, conversations”. The pair also pick up on some of the themes of the Shelter report, looking at where they think things are going wrong and how they could be put right. Let’s start with what needs to change. 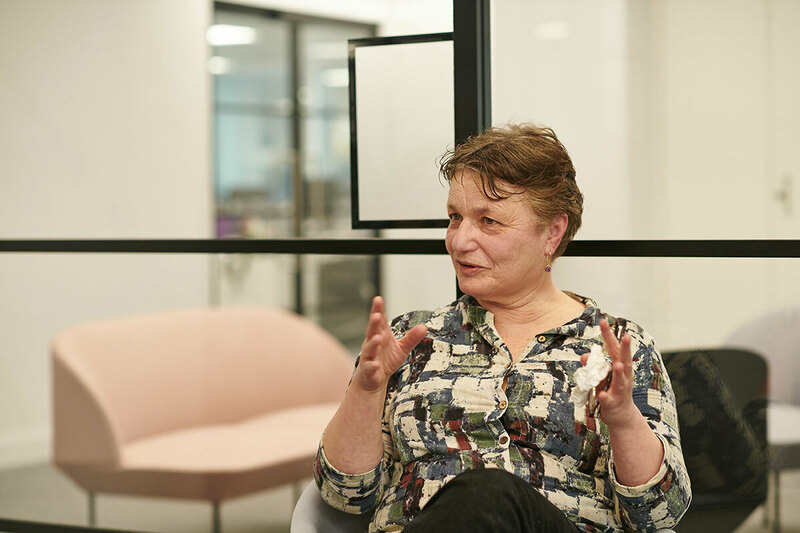 In Ms Spring’s opinion the sector has “become ridiculous in its chivvying and micro-management of tenancies, and a belief that tenants are there to be managed rather than the buildings”. She goes further: “I think there is a huge desire to rescue in the sort of people that are attracted to work in housing,” she says, adding that this leads to a sector that is paternalistic in its approach. 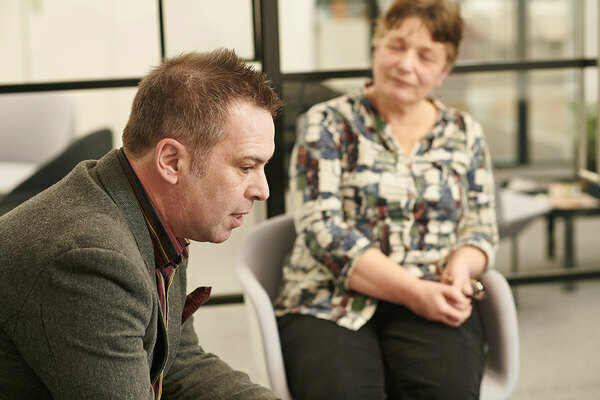 Mr Taylor agrees that there can be a problem with the way people who work in the sector view and interact with tenants. He says that when he started working in social housing 20 years ago, he was a private tenant and that it was “remarked upon by the people I was working with, like it was a bit unusual”. Language about “vulnerable tenants and housing as the saviour of people” has been worsened because the sector has become too obsessed with its image, he suggests. “As long as I have worked in housing there has been the worn, consistent narrative that the sector’s got a bad reputation,” he states, adding that people often then say “the way to solve that is through better communication”, and continually stressing to the outside world that housing providers are doing good work and helping vulnerable people. “And that is where you get a problem,” he adds. What is the impact of all of this on people’s lives, though? For Ms Spring, the impact of paternalistic attitudes was summed up by a tenant she was speaking to recently, who said that “she is talked to [by her landlord’s staff] as if she is stupid or as if she has no right to challenge services because the services are helping her with her life”. The woman describes the interactions as making her feel humiliated, Ms Spring adds. What, then, are the potential solutions? “To move things forward there needs to be a fundamental shift and that has got to involve some shift of power,” Mr Taylor states. Ms Spring says she would like to see a “huge skills audit of tenants across the country”. “I think we should have a whole load of regional fora, which are open to all tenants from all housing associations, councils and co-ops and so on, and these are linked in to the new regulator,” she continues. “Within that you have a cluster that have been nominated and elected by tenant groups and they feed directly into central government – and people working locally are paid for their time.” She suggests that information would be fed from local forum level into government and vice-versa. Mr Taylor says he thinks the sector has got more comfortable with engaging with challenges related to the way it operates and no longer see them as a threat. “You can have two things going on,” he states. “I think of it like this: do I value the NHS? Absolutely, enormously. To lose the NHS would be devastating to the country and my family. Do I also see that the NHS is deeply dysfunctional and has major problems that need system changes? Yes. I can be quite comfortable defending the NHS [broadly] and actually tearing it to bits almost in terms of how it actually engages with people and how it approves what it spends its money on. Are there any practical examples of organisations from other sectors that the sector could learn from, though? Both Ms Spring and Mr Taylor cite the Mayday Trust, a charity that works with homeless people and those leaving care, prison or hospital. In 2011 it changed the way it operated after listening to people’s experiences and feelings about homelessness services, which many described as humiliating and dehumanising. It has since moved to an approach it describes as “personalised and strength based”. Together with Tenants is a draft plan drawn up by the National Housing Federation (NHF) with the “aim of creating a stronger, more balanced relationship with tenants and residents”. As of 13 March, 86 associations had signed up to it. The NHF says a stronger relationship is needed after questions were raised following the Grenfell Tower fire in June 2017. The aim of the plan is to introduce new expectations at board level; set clear commitments for tenants and residents; and give tenants and residents a louder voice, a stronger rule in scrutiny and more influence locally and nationally. It also aims to “provide a clear link to regulation”. Ms Spring also suggests that housing providers might look at the approach taken by local branches of mental health charity Mind, which focuses on choice and people having control, or a charity close to where she lives called Full of Life. Because of that, she argues, it tends to work more closely with people to co-design services. Mr Taylor agrees that Mayday is worth a look – along with Wigan Council, which has focused on the personalisation of services and taking an asset-based approach to its work. Until government reveals its next step, change is in the hands of people living and working in social housing today. Both Ms Spring and Mr Taylor suggest it is time people working in housing think more seriously about how they operate. 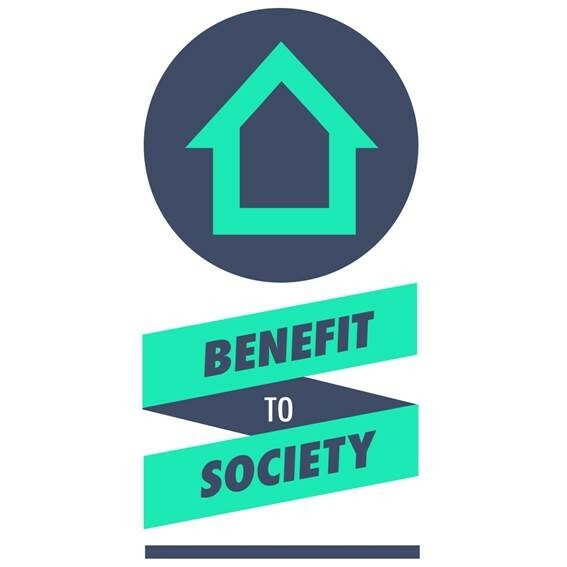 A group of 14 associations and their tenants have got together to challenge common narratives about social housing residents through a campaign called Benefit to Society. As part of this, the campaign has produced a Fair Press for Tenants guide to help journalists portray social tenants and social housing fairly. Inside Housing is backing the campaign and will help fact-check and scrutinise articles that portray tenants in a negative light. Send examples of unfair, misleading or inaccurate reports about social housing tenants to carl.brown@insidehousing.co.uk.